These are the Salt Water Pools in Scotland other users have reported. Are you a local and your pool is just not listed? Contact us to ADD IT. It is free! Water sports are increasing particularly in elderly population sectors who have suffered some type of muscle or bone damage. Swimia.com has the most up-to-date database about Swimming Pools. Looking for Salt Water Pools in Scotland? A lot of of them belong to gyms or sport centres which also supply lessons. There are often discounts available to senior citizen and tiny children. Find out by contacting your nearest pool in Scotland. Are you on holiday and need to hold fit and healthy? 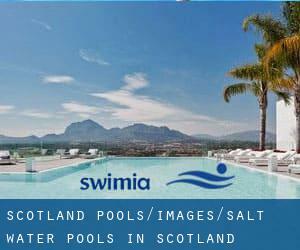 Swimia.com offers you the easy and quickest way to get pool near Scotland. Holding an estimated population of 610.268, Glasgow is among the most important cities in Scotland. Check all of the Swimming Pool in Glasgow and its surrounding area. Let us tell you a secret to switch off whilst you might be in Dundee: just select a Swimming Pool in Dundee and plunge into the water! There's no far more successful technique. Without a shadow of a doubt, swimming in Edinburgh may be the best way to unwind right after work. Take a couple of minutes to browse Swimia's catalog to find a Swimming Pool in Edinburgh.